I learned long ago to follow a simple rule of thumb when buying a used vehicle: don’t buy it at night and don’t buy it in the rain. If you think about it, you’ll know why those two statements are important. But, aside from pithy sayings, I have some pertinent information to dispense regarding the purchasing of a used vehicle. And, in particular a used 1967 Beetle. 1967beetle.com receives A LOT of emails daily a from across the world. Most readers are wanting an opinion on the 1967 Beetles which they contemplate buying. I thought to put many of the pointers which I give into one concise document. First and foremost—decide what you can spend. If you have not made this decision, you will become frustrated. Prices vary considerably. If you want a really nice car, put away a “war chest” of funds for the purchase which accords with your desires. Remember: if you are looking for a $2500 dollar car, you will get $2500 dollars worth. Today’s vintage 1967 Beetles in nice driving condition will cost from $6K to $10K. Unless you just stumble across someone who doesn’t know or who is just trying to unload a car for the cheap, don’t expect much if you don’t spend according to the market. And, don’t go looking for a car and go through all of the business of talking, writing, phoning, etc., only to come to the buying point and you don’t have the money in hand. That’s going to be very awkward. If you negotiate—be sure to have the money ready. Sellers don’t like to spend an inordinate amount of time dealing with someone only to find that he doesn’t have the funds. I hasten to add: don’t get in a hurry! A hurried purchase is the recipe for disaster! There always will be “another car out there”—so be patient and deliberate in the process. Now, it is time to educate yourself. 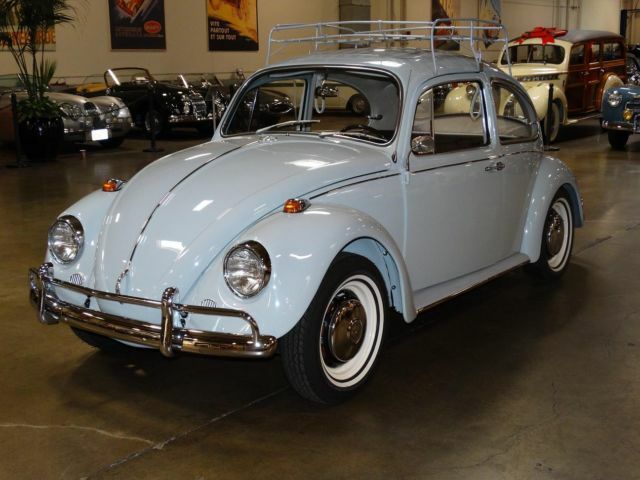 Find a prime example of a fully restored-to-factory-specifications 1967 Beetle. (Like below) The purpose is not that you have to buy one to that standard necessarily. A lot of us don’t have that purchasing power. However, the point is to look at a Beetle which is at its very best, one which exhibits all of the correct features of this year/model. Studying such a vehicle gives the prospective buyer knowledge of what to look for. That’s so simple, isn’t it! If you need a good example, contact 1967beetle.com. You can do a year search to limit what you have to study, along with a distance and even a price range search. 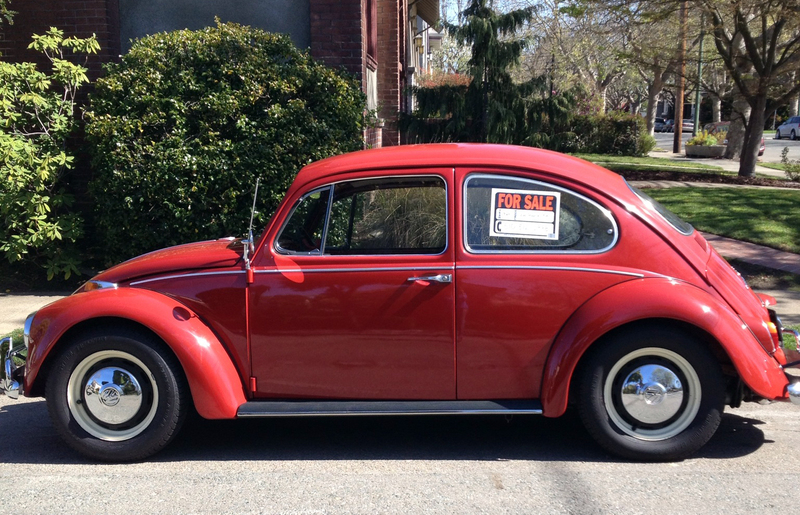 If you can find a Beetle within striking distance of your home and within your price range, all the better. Transport-shipping is expensive. Now, study the examples that you find. Be skeptical! Sellers are puffing their ads—you can count on it. Remember, it’s your money that you are going to spend. You’ve done your homework, now, put it to work. See if the advertisement meets the standards. “The engine is all stock?” Think again and do your research. Ask plenty of educated questions. If the seller really wants to sell, he will be glad to answer educated questions about the car. Request additional photos of areas not shown in the ad but which are important. Never assume anything. Recognize that a used car is a used car. It is old and it will have problems—some unseen even by the seller. Eliminate as many of these as you can. The less money you have to spend once you do buy the vehicle, the happier you will be. If the vehicle is at a distance from you, learn about transport conditions and costs before finalizing negotiations with the seller. A vehicle that is not running will cost more to transport. It is best to view the car in person. If this is not possible, for a nominal fee, you can contact any one of several agencies On-Line to do an on-site report on the vehicle. Another avenue is to contact a Volkswagen Club in the target area. Often club members will be glad to view a car and do a report for you. If possible drive the vehicle or have someone to drive it to evaluate its performance. The more you know about the vehicle, the better. If you are required to leave a deposit for the car, have it in writing as a record of this transaction. And, remember—a deposit usually is non-refundable. Be sure that you and the seller are agreed on everything. Including the manner by which funds are going to be transferred. If through Paypal, for instance, there will be fees incurred on the part of the seller. So, the seller may ask for compensation for these fees. Never deal in cash at long distance. Get receipts for all funds. For vehicles which I sell, in addition to the title and title transfer papers, I print a Bill of Sale in duplicate which both I and the buyer sign and share pertinent information about the vehicle and conditions of sale and that it is an “as-is” sale. Make certain that the car has a viable title that can be easily transferred. Third party titles can be not only tricky but often result in great expense or even impossible title transfers. Out-of-state title transfers can be difficult. Talk to a title company and to the Department of Motor Vehicles in your State to learn the laws governing such transfers. Never, never buy a vehicle that doesn’t have a title or one for which the seller promises to send or obtain a title at a later date. Make certain that the VIN (Vehicle Identification Number) on the car is the same as the one on the title. The VIN will be found stamped into the chassis tunnel beneath the back seat and there will be a small aluminum tag riveted into the spare tire well. Both of these VINs should be the same as the VIN on the title. Learn about the title transfer fees levied by your State. Know the laws. Don’t get caught at the last minute and find that you are going to be out hundreds of unexpected dollars. Learn the conditions of insurability of the vehicle required at the time of title transfer. I usually rule out purchasing a Beetle that has spent its life in the “salt belt” or in a coastal area. Rust is expensive to “cure”. “Just a little rust” often is a warning of more to be discovered once the vehicle is in hand. Pass on such vehicles—there will be others that will be less problematic to restore or recondition. If a Beetle has been wrecked, you may want to pass. Unless you just like to cut and weld, move on to a better vehicle. Also, if you want a stock Beetle, don’t buy a modified vehicle and think that it will be easily returned to stock condition. Take it from an ole VW guy—you will nickel and dime yourself to death before it’s over! 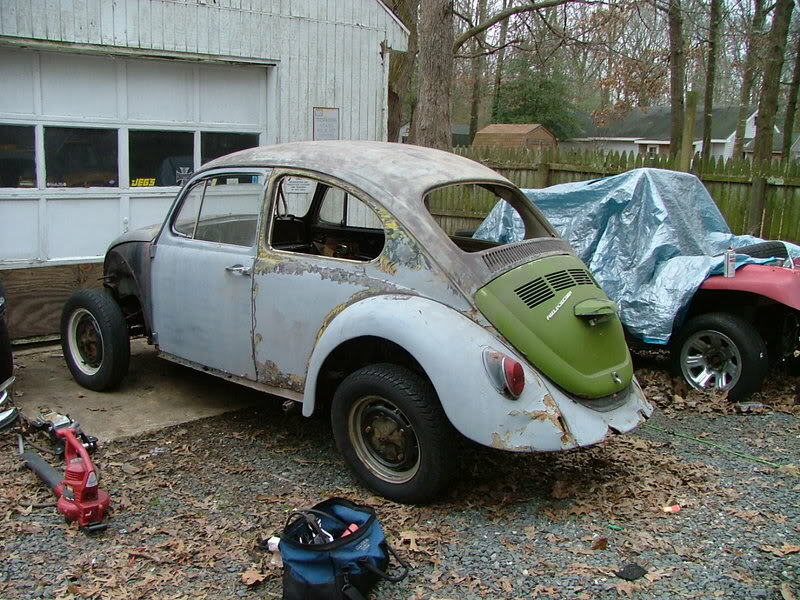 And a picked-over VW Bug, missing a lot of those hard-to-find parts, is also a money pit. Pass on such a car and find one that is complete. I’ve had people to tell me…”But, Jay…I can get this car for (naming a very low price)!” Yes…but if they did their homework, they’d find that they are going to spend more money tracking down those missing parts than if they’d bought a complete car in the first place. My final word for the day. Knowledge is power. And you want power on your side. Those are my two cents’ worth. Spend them wisely! Sweet little Beetle…………. I wish! That red ’67 was in my neighborhood. It sold for $7K, and now is sitting at a dealership near my house for $13K. Excellent article Jay. I agree with all points given. I do not sell complete running VWs often but I do sell many “project” cars. When I advertise a vehicle I make it a point to clearly show all the problem areas and flaws and the price reflects the condition of the car. This is not often done and it is very easy to hide flaws or distort the actual condition of the car with the camera. A certain angle here or crop there and the car can appear very different. So, buyer beware. Now something I have mentioned to many people and I don’t think it was addressed in the article. A “running” engine means nothing. 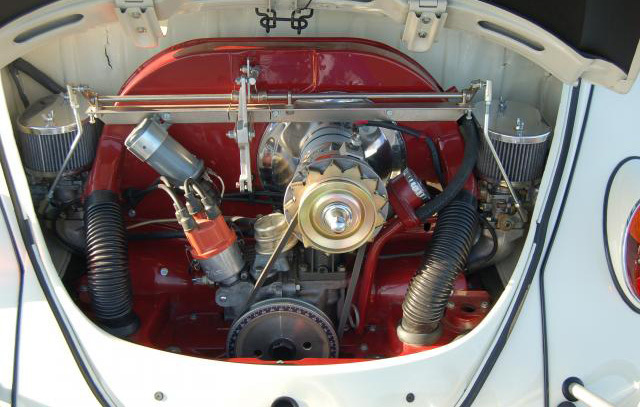 Often VWs are sold with the assurance of a “good running engine” The VW engine can “run” on 1, 2, 3 or 4 cylinders. An engine can “run” but be “tired” and only produce 15hp (this was a documented case) I would suggest before purchasing a VW have a knowledgeable VW mechanic inspect it and at a minimum perform a compression test or even better a leak down test to have a better understanding of the condition of the engine. I often talk people out of buying a project car because I feel as though they do not have the funds or skill level to complete a particular car and try to educate them the best I can and in turn help them find a car more suitable for them. I also regularly look at and inspect VWs for potential buyers and it always a pleasure to do so. I would like to add the car presented with the “stock engine” I would purchase because the engine shown if in good condition would be worth more than a stock engine so that very nice car could be purchased and the red engine sold to purchase a beloved 1500cc. I know this will not appeal to some purists just my .02 cents. My opinion is to get as many VWs back on the road as possible and to have as many as possible people learn what a joy it is to drive a Classic VW. With that said if you find a “solid” car and everything checks out but it is missing some of those hard to find pieces it might still be worth buying because going to Car Shows and Swap Meets searching for those parts is, I believe, half the fun of owning a Classic VW, plus when searching for parts you get to meet people like Eric and Jay! Godo advie. I got a KILLER deal on my 67 last october. 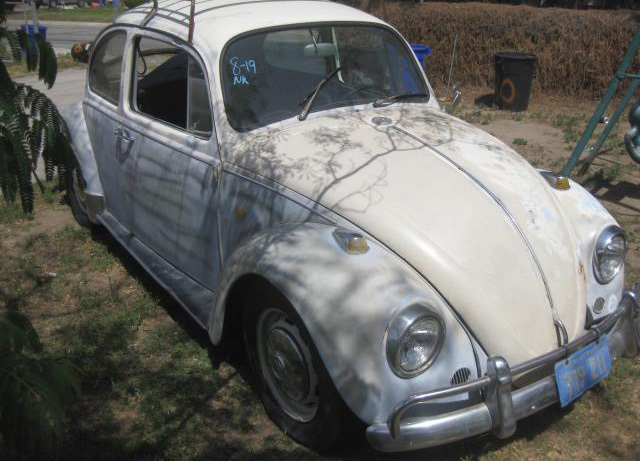 Seller listed it on Craigslist for $2800, but only used the word “bug” not “beetle” or VW in the ad. It hadn’t run for 10 years and had a rotted out tire (all flat). I love to hear things like this! Thanks for the kind words. Jay and I are here for the ’67 community. Keep those emails coming. If anyone is interested, the red ’67 featured above is back on the market. I know the org owner. Sadly, it’s exchanged hands about 4 times. I’m not sure why. I want to thank Dustin Carter of Don’s Bug Barn in Athens, Texas, for chiming in with some important details. VW salvage yards and Swap Meets form an integral part of the VW Search-and-Find Process. They always will be necessary. Due to my input in North Texas, one of the largest VW shows to hit Texas now has an improved swap presence and Dustin Carter is a big part of that arena. I was hoping, as I wrote this article, that you readers would contribute other important information regarding the purchase of 1967 Beetles! Keep the information coming! I’ve said this before, but I can’t thank you enough for all the work you put into this site. It would be nothing without your efforts and knowledge. Everyone, let’s raise our timing light to Jay Salser! Sometimes these little cars “speak” to you and buying logic goes out the window. I think that’s why so many beetle owners name their cars. They are more than a pile of parts. They have distinct personalities and easily become a member of the family. I don’t know about you but I had to buy mine with a fat pocket book, LOL! I’m having a hard enough time getting the correct information from various sources for correct parts and colors. It is fast becoming difficult to find a really nice ’67 Beetle priced like we were used to seeing not many years ago. I am predicting that within 5 years, it will have become quite difficult for the average person to buy into decent ’67s. This is due to “normal” attrition (wrecks, weather-related incidents, etc.) but in big part because people are “customizing” (make that cutting and welding and altering) them, removing them from the market-place for those who want a stock Beetle. Once again an outstanding article. Very useful information for all VW owners. Yes let’s raise our timing light to Jay Salser. We thank you Jay. Linda and I has benefitted from your articles and the help you have given us. I am going to add this article of yours in my VW folder. Kudos for such a fantastic article. Jay, I’m not sure what Eric is paying you, but it’s not enough. Hello, Lenny–I’m a fan of yours, although we have not met or even corresponded. You are doing a great job of putting these cars back onto the roadways in not only excellent condition but in their ORIGINAL condition. As to pay–getting to know Eric and his family has been pay enough. They are great folks. You know that Eric didn’t do this all by himself–his lovely wife plays a big part in 1967beetle.com, although on the quiet side of things. Keep up the good work, Lenny! Seeing that I’ve violated at least half of these excellent points through the years In buying various cars I can say that this is advise is easily in your top 5 on this site….pay now or pay later!!! Hello, Anthony–yes sir! I can identify with “Sweet Tea”! Jay, well written and really good advice that a lot of us would not have taken, often to our detriment, your statement “”Take it from an ole VW guy—you will nickel and dime yourself to death before it’s over!”” is really true, whilst my Australian 67 was complete and a driver it had a lot of “foreign” parts and has taken a great deal of time and money to track them down, especially as it is an Aust 67 that was a final Factory mixture of 64 65 66 and New 67 design AND RHD which makes it harder than your cars over in the US. I have spent more time finding and searching compared to Fixing her up and all that is now required is the carpets, door cards and Running boards, down to Body respray now and then assemble. A hard part was a Brake reservoir – this is Aust design pre 67 as standard factory part and different to what I managed to get from Wolfsburg West at great expense, but fits and looks right except for the pipe at the bottom which no one but myself will know – Unless you are Hawkeye Jay who will spot it one day when I send over the complete Beetle photos. It is really refreshing to read what you as a Group all have to say, and is of better value to me than spending Money. You should and could write a book from all of your efforts. Great job as usual, beut cars to drool over and gives me impetus to shake my lethargy and finish mine off. Thank you so much! We do this because we love it, not because we have to. Your article is going to save my inbox. I had 17 emails yesterday, asking about this topic. It’s a labor of love. Nice article for sure. I can’t stress enough Jay’s comments in reference to rust. I made a big mistake and did an emotional “impulse” buy of my 69 convertible bug. Big mistake. 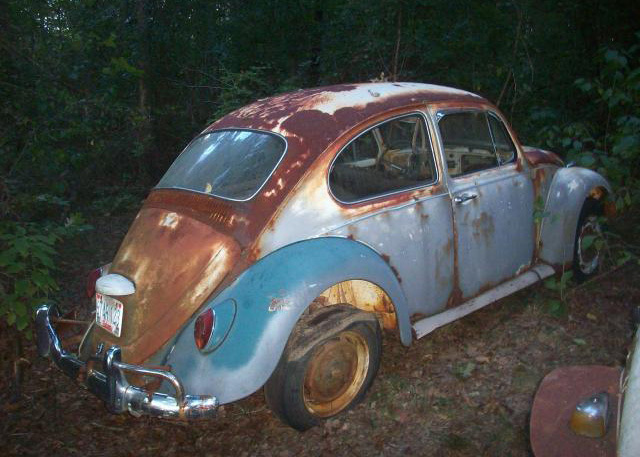 This bug had spent many years in the rust belt as Jay mentioned to avoid. I spent tons of $ and hundreds of hours replacing most of the lower 12″ of this bug. Lots of rusty metal was replaced (heater channels, reinforcement rails, firewall, rear tub and cross members along with all the grinding, welding, sand blasting, etc.. I have twice as much in this bug than its worth in repairing it. Fortunately, I had the skills to do all the welding and restoration work. If not, the car would have not been worth repairing. 3 years later, the car was mostly finished and still looks new 12 years post restoration. I learned my lesson from this experience. I drove to Los Angeles, California to purchase my 67 bug. This car lived it’s full life in S. California and was rust free, original pans and wearing all it’s original body parts. Only minor dents and dings and worn thru OG paint. The car has been gone thru now. I rebuilt the engine, suspension, brakes and recently repainted it along with rechroming the original bumpers. I know I saved hundreds of hours and thousands of dollars in avoiding all the rust repair I incurred with 69 vert. I tell people all the time that it’s much cheaper to ship in a rust free VW from the Southwest US then it is to repair all the rust. Please learn from my experience. Hello, Bill…Yes, and I cringe every time someone comes to me with a very needy Beetle. Yes…I know that it’s sometimes difficult to wait until funds accrue. But, I cry a little inside when I see what difficulty people have with cars that just won’t perform properly, and some that are down-right dangerous, simply because someone got in a hurry to buy and ended up with a heap of “mobile parts”. Your experience is noteworthy for two reasons–it warns the rest of us to use our heads when buying, and–it shows what stick-to-it-tiveness can do with a cantankerous hunk of metal! My hat’s off to you, Bill! Jay I went way over budget and I do intend to put the blame on you and Eric…..mostly for the smile on my face! Hello, Becky…Yes, but I’m not embarrassed because I believe that the ’67 which you just purchased is superior to the others we viewed together. Eric sent me a preview photo of you receiving the keys. I hope that this Sedan meets your approval in every aspect. And…I can’t wait to see your Featured Article right here on 1967beetle.com! I’m so happy things worked out on the Zenith Blue. It’s by far one of the best I’ve seen in a long time. The ’67 community is going to be very jealous once they see your article. Thanks again for letting us help you out. I received a message from a person this week who added a footnote which reads: “Nothing is so expensive as a cheap VW!” This seems pertinent to the study at hand. Her fenders were dented and scarred. I spent lots of bread. So now she’ll be hard to discard! Great article Jay, Followed most of the rules when buying our first 67 this January, The work I have done, I feel I could have bought a bug in worse shape and ended up spending the same. The engine Running in good shape is what I failed on. The engine had been rebuilt just 6-8 months earlier. The car ran great, better than any I drove, so I thought the engine would not be a concern. just a little oil leak….Well although compression and power were spot on, not until we pulled the engine to replace the seal was it realized the block was cracked…So much for not needing to spend money on the engine.. Looking forward to sharing our restoration in about 3-4 weeks as our black and red beauty is almost complete..
Oh, Ken! I am so sorry to hear about the engine problem! I guess that all that I can say to everyone is to get the very best deal that you can–then remember (as I always say!) that these are vintage vehicles. There will be more, and often MUCH more “stuff” that will be found once the vehicle is home in your garage. A buyer just cannot find all of the problems when buying. There usually is not time for a comprehensive examination. So, the buyer has to do the best that he can and hope for the best. my findings in the days and weeks to come. I forge ahead, knowing that I have a fairly rare car that is giving me a lot of pleasure. Part of that pleasure is seeing it returning to stock condition.